RoboCop is set in near-future Detroit, where the city streets are just about completely dominated by the criminal element, while the police are neither respected nor welcome; they are virtually walking targets out there. Desperate to clean up the crime-ridden community and build a gleaming new one in its place, the government officials turn to OCP, Omni Consumer Products, to build and manufacture the future of law enforcement, robotic police that are more powerful and well-armed than anything anyone has ever seen. However, when the first prototypes prove inconsistent, the city officials balk at the idea, so an upstart faction within the OCP comes up with a newer, more “human” cop, a cyborg built using the remnant body of downed officer Alex Murphy (Peter Weller), and dubbed simply as “RoboCop”.Things proceed splendidly for the RoboCop program, that is, until the human side of the cyborg begins to recollect his past life as Murphy, plagued with flashbacks to the family he lost and the psychopathic criminals who all but ended his life as he knew it. 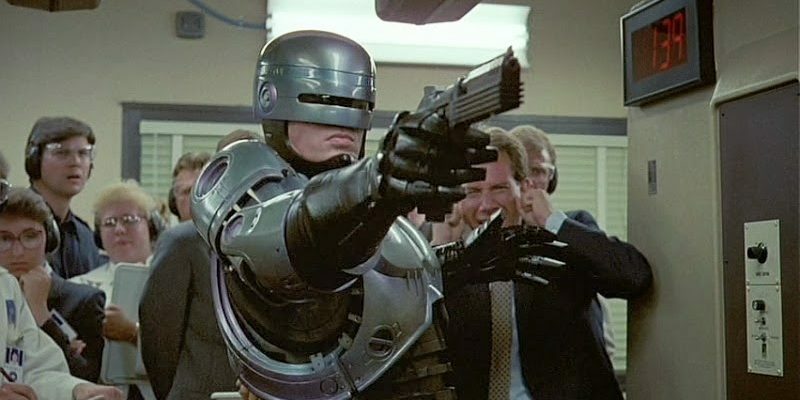 Determined to bring the bad guys that did him in to justice, RoboCop sets out on a mission of his own, not realizing that the gang in question is actually in cahoots with a rogue entity within the OCP, who for all intents and purposes, also own the city, the police department, and the machine side of Murphy. 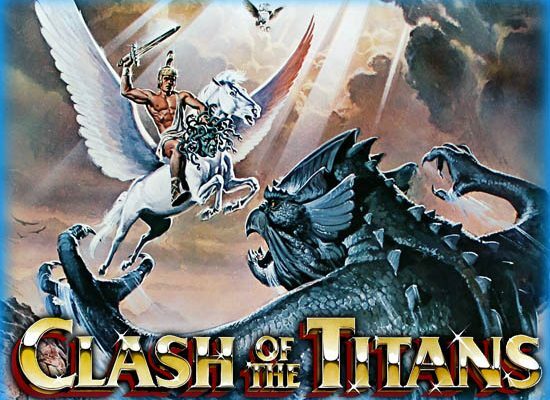 Paul Verhoeven directs this scathing and potent satire on American commercialism and privatization.